On September 28, a 7.4 magnitude earthquake followed by a tsunami caused widespread damage on Indonesia’s Central Sulawesi. Palu was the worst affected area. CWS is asking for donations to assist with shelter, safe drinking water, sanitation, and medical care. ACT Alliance Indonesia members are coordinating their work with government and other agencies. People will need help for the months ahead. ACT Alliance Indonesia medical staff treated Mr Mushki for his injuries. His family was safe but he lost his boat and home in the disaster. The double disaster claimed the lives of 4,340 people according to the Governor, Longki Djanggola. He further reported 39,191 homes damaged and 3,673 destroyed. Four months later, survivors remain in shelters awaiting transitional or permanent shelter. Residents in the shelter say distribution of supplies and the lack of water are a source of conflict. Survivors continue to need assistance. 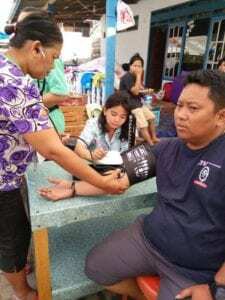 Local ACT Alliance Indonesia members are delivering aid in Palu, Donggala, Sigi and Parigi Moutong. ACT Alliance Indonesia members were involved in rescue efforts, relief distribution and are continuing to support local families recover. Initial support was for food, shelter, hygiene kits, water, and medicine. Water, latrines, medical care, protection, assisting people with disabilities, and transitional housing are now priorities. They have worked hard to maintain vital services like healthcare, water and sanitation. Every day, one member distributes 218,000 litres of water using 10 tankers which meets the minimum emergency standard of 15 litres a day. By the end of December, 16 four stall public latrines had been completed with nine more under construction. Please support the Indonesia Earthquake Tsunami Appeal so we can get help to the survivors. Donations will be matched by the New Zealand aid programme. 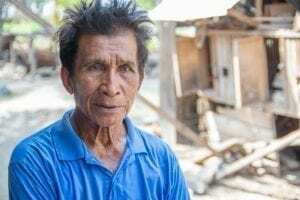 Your donation will support local ACT Alliance Indonesia members to provide food, water, medical care, and other support to earthquake and tsunami survivors. They will be matched by a grant from the NZ Government.